NEW: Use Insightly as a data source – How can we help you today? 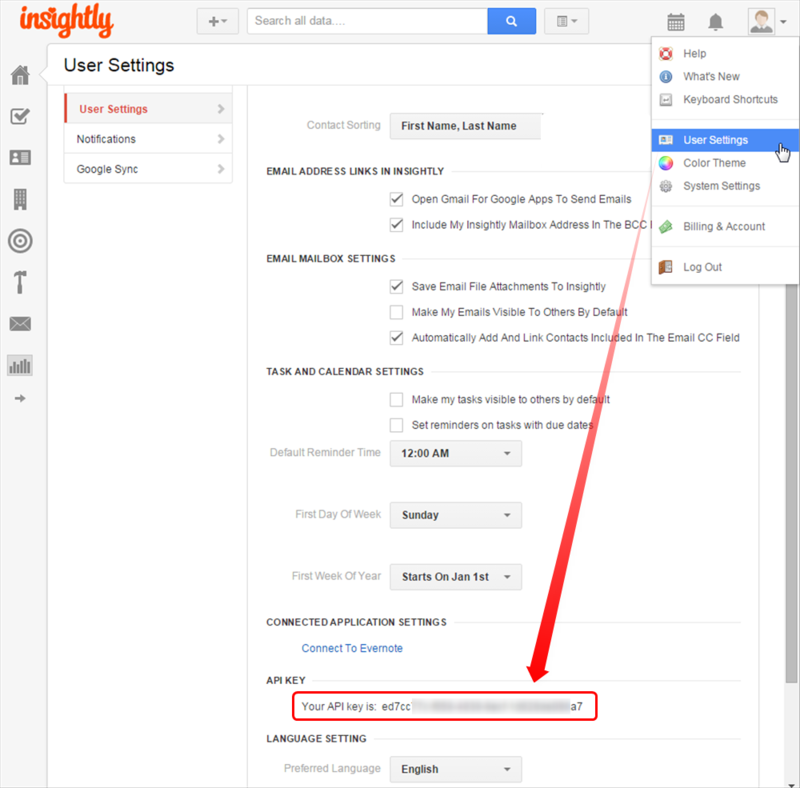 Note: This guide assumes that you already have an active Insightly account. 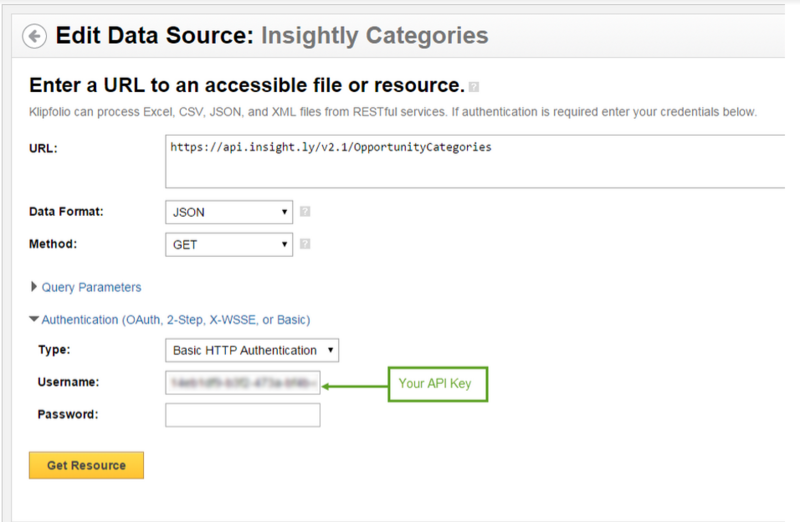 To create a data source using Insightly, go to the New Data Source page in Klipfolio and select the Web Accessible Resource option. Under API Key, copy and paste your API Key into the Username text box in Klipfolio (see image below). Select Basic HTTP from the drop down list. Copy your API Key into Username. Insightly offers a wide variety of queries. Refer to the API docs for more options.